Namaste ! Welcome to Incredible India !Plan your India Trip & Holiday vacation with Kalpadeep Holidays India. We cater Small to Large Group India tours, Independent Family Travel to India and Women only travel tours throughout India, Nepal & Bhutan. Experience the Essence of Incredible India with us. The Professional, Reliable and Friendly attention from the moment you picked up until you were dropped off at the airport. 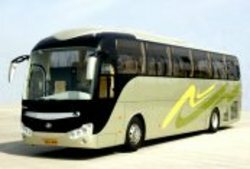 Our commitment and dedication to high standard of customer service, along with extensive travel knowledge, our expert team can help you travel anywhere in India. Traveler's to our country and state are our honored guest. To provide true services and warm attention is fresh & pure like pray to God. It is our duty and responsibility to protect their interest and to serve them best of our ability. Understanding travelers needs and values we shall ensure that they feel safe, secure, comfortable, enjoyable and are well taking care by all our highly experienced staff & well informed drivers at all the times. We are country’s goodwill ambassador and will adhere to the highest code of conduct. We will not allow anything or anyone to tarnish the image of our state and country in any manner and also always honors your trust, which makes us today the Leading Travel & Tourism Brand in India.